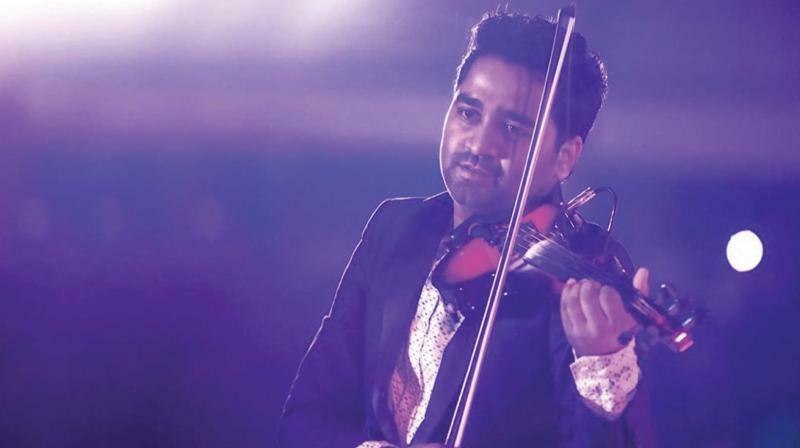 Popular Malayalam music director Bijibal would be launching it by handing it over to Indian fusion violinist Abhijith P.S. Nair. Cantini, an Italy-based company, is all set to introduce the first-ever electric five-string violin in India. Popular Malayalam music director Bijibal would be launching it by handing it over to Indian fusion violinist Abhijith P.S. Nair, who is also the ambassador of Cantini worldwide. Abhijit developed a love for music in his teenage years. He forayed into the Malayalam film industry as a music director at the age of 18 through the film Akashangalil. Since then, there has been no turning back for him. Abhijith collaborated with the international legendary drummer Dave Weckl for his first international instrumental jazz fusion album ‘Saraswati At Montreux’. For his second album, he joins hands with the legendary drummer Ranjit Barot. Throughout his career, he has shared the stage with great artists like Padmashree K.J. Yesudas, Hariharan, Shankar Mahadevan, Kalaimamani A.Sivamani, Mandolin U.Rajesh, Mattannor Sankaran Kutty Marar, Stephen Devassy and many more. After the event, Abhjit will also lead a fusion music concert along with other artists like Mohini Dey (renowned bass guitarist), Sandeep Mohan (lead guitarist and prodigy), Dr. Siddharth Nagarajan (world’s fastest drummer), George Varghese (keyboards), Mahesh Mani (tabla), Alappuzha Vijayakumar (thavil and ganjira) and Aju Vijay (sound engineer).